Marketing-Sales Alignment is crucial. Let’s take the human body as an example to get to the root of this concept. When you are driving, your brain sends signals to your hands and feet based on the vision your eyes see. It is based on these signals that you shift your car/bike smoothly even in heavy traffic. You know when to press the brake, when to change the gear, when to look at the rear-view mirror and when to accelerate. It apparently looks like a simple task but is not that simple. Marketing-Sales Alignment is something like this. Both sales and marketing departments have to be in proper sync to run things smoothly. If one falls out of place, the entire thing gets messed up. Healthy sales and marketing relationship is crucial for a business to grow. It has been reported that misalignment of these costs almost $1 trillion dollars in a year. Yes, it’s that huge. According to an infographic from Wheelhouse Advisors, organizations that have aligned marketing and sales operations achieved 24% faster three-year revenue growth and 27% faster three-year profit growth. They have also reported to enjoy 36% higher customer retention rates and 38% higher sales win rates. The same infographic also suggests that marketing-sales alignment can generate 208% more marketing revenue. When accountability gets lost, it becomes a hand-off, not a collaboration. Then, when the lead falls through, that creates tension between sales and marketing. Sales blame marketing for sending poor leads; marketing questions whether sales worked hard enough to convert them. Hence, the most plausible solution, as Vella has pointed out, is to have a shared pipeline growth – where marketing and sales will share common goals and use a single tool for their operations. To have a shared goal and operations, it is necessary that marketing and sales come together on a common platform where they can see the progress and align their work accordingly. A marketing automation tool acts as a bridge between the marketing and sales operations. It has all the features that aid the marketing team to capture and nurture leads. It also allows integration with CRMs or comes with their own CRMs that are ideal for the sales team. As a result, the sales team can easily see which leads are getting nurtured, what are their buyers’ persona, their purchase history, and along-side keep a tab on all the conversations that happen. Ultimately, when a lead starts exhibiting buying symptoms, the sales rep can take over. Based on the entire lead history, the sales rep can easily convert the lead – because here conversion is not monotonous. Rather, it is personalized and targeted for that particular lead only. A marketing automation tool also allows sales related campaigns like email campaigns, detailed analysis, and also keeps both marketing and sales united. Automation definitely bridges the gap between marketing and sales operations. But before implementing an automation tool, marketing-sales alignment also depends on planning out how exactly these two will operate harmoniously. Automation tool brings in more transparency in work for both the teams to function smoothly. But that is not all when we talk about marketing-sales alignment. There are few more practices that need to be implemented before starting off with an automation tool. According to a survey by Demand Gen Report sponsored by InsideView, Communication is the biggest challenge for marketing-sales alignment. 49% respondents have complained of lack of communication, followed by broken or flawed processes (43%). This report analyzed the challenges of marketing-sales alignment and revealed that salespeople look out for competitive information (39%), Brand Awareness (37%) and Lead Nurturing (37%) from their marketing counterparts. On the other hand, marketing team responded with better lead follow-up (39%) and consistent use of systems (32%) were what they needed from the salespeople. Flawed communication or lack of it is one of the biggest challenges along with other issues that hamper the proper marketing-sales alignment. Thus, before implementing an automation, here are few practices to implement proper marketing-sales alignment. As pointed out, communication is the biggest hurdle for marketing-sales alignment. Hence, meeting regularly can help in breaking the wall between sales and marketing. While sales require resources, brand awareness, and lead nurturing details, marketing will benefit in knowing the sales content used, what sales-specific campaigns are required, what kind of leads are salespeople looking for, etc. In short, both the team must be clear about each others’ goals and ideas. While both the teams must sit together to lay out a proper roadmap and offer resources each require for the same, it is very important that the sales and marketing managers meet on a monthly-basis. Since these two are going to lead their respective teams, even their ideologies and goals must be properly aligned. Talk about content ideas, marketing and sales campaigns, promotions or offers scheduled, reports and other details to give each other a clear performance picture, and also discuss future possibilities- like blog ideas, sales email campaigns, offers, lead targeting, etc. While all these meetings are professional, sales and marketing team must gel with each other personally as well. If not great friends, they can be good associates. Facilitate events and casual meetups where both the teams participate together. One of the best examples of marketing-sales alignment and collaboration is the 1,000% growth of Vidyard. They achieved it by collaborating and communicating effectively with each other. The collaborative tactic of Vidyard helped their business growth to multiple in a period of two years. 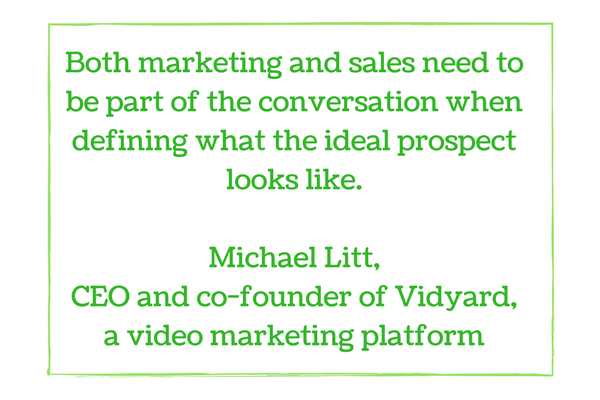 In what they called as ‘smarketing‘, Vidyard ensured that their sales and marketing collaborated and discussed about their prospects, what actions should trigger conversions from one stage to another, and how they both can together work to ensure a consistent customer experience. Your sales team must always be up-to-date with all the promotional activities that your marketing team is doing. Since your leads receive new offers and content through these activities, your sales team must also know about these offers and content. Here are few ways in which marketing and sales can coordinate when it comes to marketing content. Shared Google calendar containing all the details of the promotions like whether it will be an email, webinar or a social media campaign, the URL, description of each offer, and main highlights of the promotion. Send emails to your sales team once your promotion starts generating leads. You can include few points about the campaign offer and the main highlights they might require to talk to the prospects. Try including a general quote for your sales rep to use while talking to the prospects. Create email templates for your sales team to effectively follow up the prospects after the promotion gets over. Create the template that is specific to your offer and directed towards how your company can help your prospects. Your sales rep are the best source to know what will excite your prospects and what will hamper conversions because they are the ones who directly converse with the target audience. Take help from your sales team to do aligned keyword research, create content topics and decide the kind of content to be created. With your resources and their real-time information, create content that works. Sales team does the calling. Correct. But it is important to have any one of your marketers or you yourself to block some time every week so that salespeople can pass more inquisitive leads to you for a better explanation of your product positioning and its benefits. Sharing tasks always speed up the process. Add to this, take some time off and listen to your sales rep talk to any of your prospects. It takes a lot of good words to communicate the business model to a prospect and get them onboard. Listening to your sales rep can help you create follow-up emails, future content and promotional offers. Your marketing team prepared brochures, PPTs, company overviews, campaign ideas, email templates and such resources for your sales team. If these resources remain scattered in each others’ folders, then it doesn’t serve the purpose at all. Better keep all your resources stored in cloud under specific folders and give access to all. The best place to store all your resources and documents is DropBox. Create separate folders and organize your company materials for future reference and use. Sometimes same information needs to be sent out to both the teams. Instead of adding each one’s ID separately, create an alias email which can be used to communicate important information simultaneously to both the teams. Write ghost blogs under your sales rep’s name. Interview them on topics that are aligned to their profile and quote them in your blogs. Position them as the face of your product. Motivate your salespeople to be more active on social media platforms. Encourage them to share your company updates on their personal profiles. You can write down few social media updates that they can post from their profiles and publish on their choice of networks. 1. Blame game is a strict NO. There was a lot of finger-pointing. The company is made up of great people, but they needed to cooperate to solve a difficult problem in a very short time. Hence, Vella suggested a shared objective and joint initiative for everything. Vella revealed that when both the teams are held accountable for the same goal, it closes all the possibilities for either to play the victim. Frank Vella suggests starting with pairing the top sales and marketing team members to work as closely as possible. Account-based marketing is touted as the best ways to align marketing and sales. Craig Rosenberg, co-founder and Chief analyst at TOPO also agree that mature account-based organization shows the best marketing-sales alignment. Before you take the plunge, read about account-based marketing and its best practices. The key to proper marketing-sales alignment is to bring in the product team in the picture. Without knowing what the product team has planned, a marketing team cannot plan its campaigns. And once released, the sales team cannot sell without sufficient product knowledge. So, product team needs to come in between facilitate a smooth marketing-sales alignment. To implement proper marketing-sales alignment, it is essential to be clear about the pipeline growth and ensure that this pipeline growth is everyone’s end goal; because frankly it already is. Sales and marketing alignment does not end after a marketing automation tool is implemented. Infact, this is just the beginning. 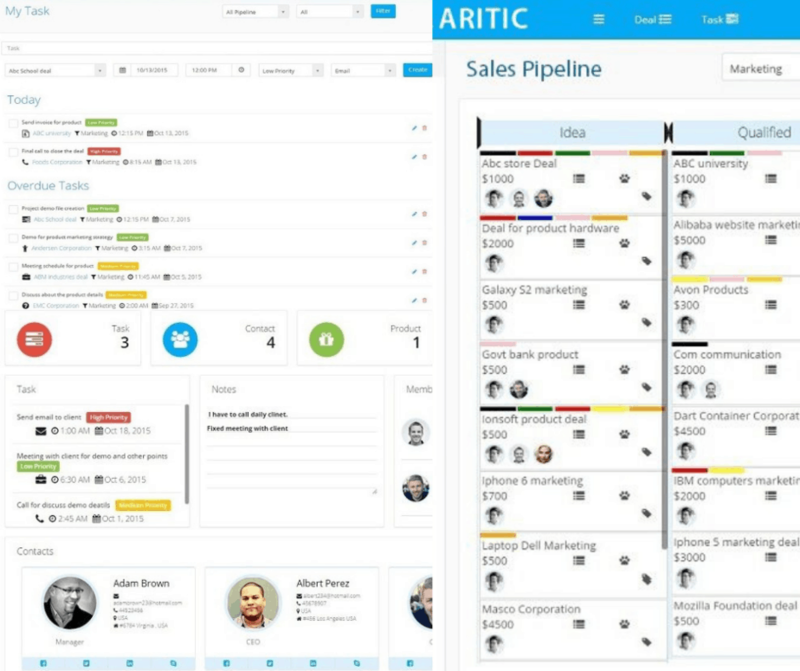 Let’s say you are using Aritic PinPoint to foster a healthy relationship between sales and marketing teams and keep all the activities synced with each other. 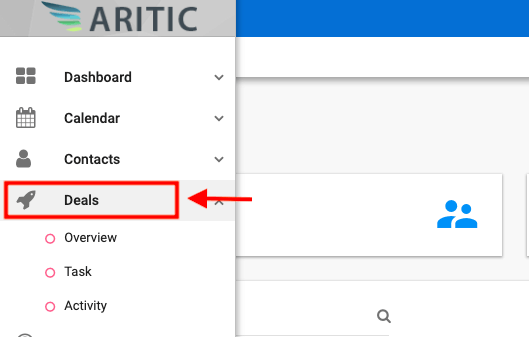 In Aritic PinPoint, there are Contact Management features that include dynamic lead segmentation, building new contacts, creating new score triggers, and manually moving leads within a segment or from one segment to another. While lead details are editable as well within Aritic PinPoint, these all look ideal for aligning marketing activities and activating leads to the end of the funnel till a sales rep comes into the picture. Ideally, lead scores indicate the potential leads ready to connect with the sales rep. However, in Aritic PinPoint, marketing team first analyzes the most potential leads looking at their scores, interests and browsing patterns. These leads are added as “Deals” in the sales pipeline. This feature is available in Aritic PinPoint which is exclusively used by Sales reps.
A sales rep can calculate the value of each deal and align the entire pipeline. Simultaneously, the sales rep also gets to see the entire nurturing process from start right within the same dashboard against the contact details. Sales activities can be monitored and tasks can be assigned to sales team members directly. Add to this, the bidirectional integration with CRM helps in putting sales conversation and automation campaigns on track to initiate conversions. A Sales pipeline is often quite long and takes a lot of communication to-and-fro before the transaction happens real-time. A marketing automation tool that incorporates both marketing-nurturing campaigns and sales pipeline alignment, will always prove as the best bid for any business looking to grow. Are you using any other practices to enforce marketing-sales alignment in your organization? Or do you disagree with any of the mentioned statements? Tell me in the comments below. Thanks a lot for the article. Can you suggest me great marketing automation for doing the same? Thanks a lot for updating the blog as it contains the well- detailed explanation about the implementation of marketing sales alignment. Misalignment of marketing and sales has drastic effects on the company. Thanks a lot for updating the article about this crucial topic. Thanks a lot, Ankit! Both the teams of marketing and sales must utilize this opportunity to become more acquainted and support each other in their tasks. Great insights Ankit! Though the marketing automation is essential, it is necessary for the marketing team to share procedures, resources, and best practices from the start to the sales team. Hey! I loved your article. It is a comprehensive list as the bottom line is to help sales effectively. And it is equally essential for the marketing team to share procedures, resources, and best practices from the start to the sales team. The post gave a clear idea about the implementation of marketing sales alignment is informative and beneficial. Thanks. Definitely sharing with my team. One of the most important factors in creating a scalable, repeatable revenue machine is sales and marketing alignment. In aligned organizations, sales and marketing are working together in a coordinated effort to achieve the ultimate goal: revenue. This article has everything there is to know. Hey! I loved your article. Keeping in mind the end goal that is to help sales effectively, it is necessary for the marketing team to share procedures, resources, and best practices from the start to the sales team. Both the teams must utilize this opportunity to become more acquainted and support each other in their tasks. Yes, I totally agree with you. Sales and Marketing alignment is a new reality. The modern buyer is digitally driven, socially connected, and empowered, with nearly unlimited access to all the information. It is necessary for marketing to know more about sales, also vice versa. And both should know more about our CUSTOMERS, which, in turn, will definitely help us in the long run.